Pictorial pure silk bow tie with original wild cat design. A great choice for a special event. Width: Our standard bow is 2 1/2" width ( high ). We also offer two other widths ( Large 3 1/2" - custom and Slim 1 1/2" - custom ). 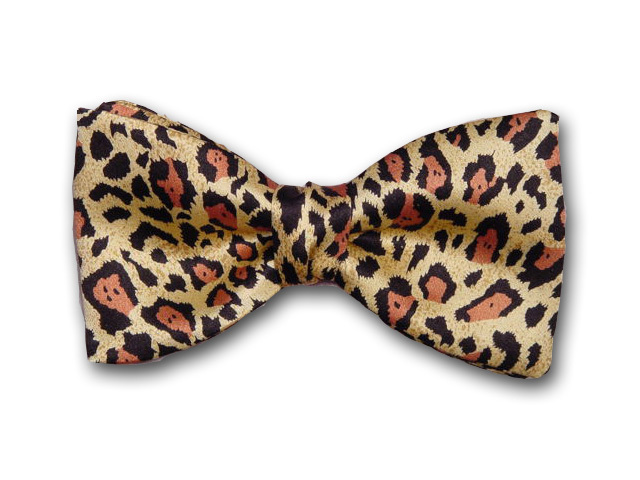 This wild cat pattern silk bow tie signifies luxury and elegancy.